Attention, scouts! From fireside fun to projects with plants, these amazing activities will teach you how to make cool scout crafts right at home. Take the ideas from these 18 Scout Crafts for Camping, Learning, and Fun to do on your own or with your troop. Boy scouts and girl scouts' activities like these will let you learn and play at the same time. Don't wait any longer to try out these scouts crafts. Each one is totally unique and will teach you a lesson you didn't know before. 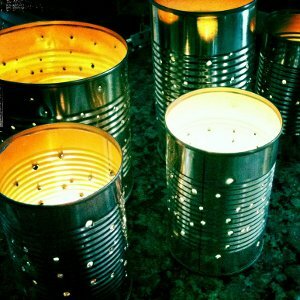 Starlight Tin Can Lanterns- Electricity is overrated. You can make your own lanterns and take them along on your camping trip to light up the night! Stick Slingshot Structure- As far as scout crafts go, this one is definitely one of the more popular ones. Learn how to make a slingshot and enjoy using it safely on your camping trip. Beaded Utensil Windchimes- For your campsite, try making these recycled wind chimes. You'll love the sound of these chimes while the forest lulls you to sleep at night. 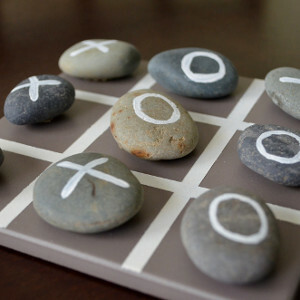 Rockin' Tic Tac Toe Homemade Game- Girl and boy scout activities like this one are perfect for your camping trip. You won't be worried at all if your game falls in the dirt, because that's where it came from! 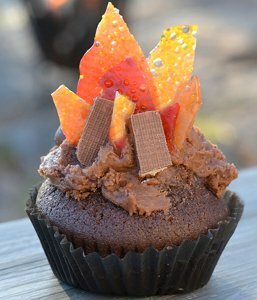 Campfire Cupcakes- This is one of those scout crafts that will probably be pretty popular in your troop. As long as you're roughing it in the great outdoors, you might as well have some tasty treats. This edible scout craft is better than a real campfire! Pretend Girl Scout Badges- If you're too young to join the scouts, you can still do all of the scout activities! And what do scouts get when they complete a project? That's right: lots and lots of badges. Learn how to sew your own badges so you can be a scout too! Kids' Craft of Global Proportions- Get a geography lesson in by making this great globe. You'll feel like you're king or queen of the world when you complete this craft. Fine Fletched Arrows- If you're going to venture out into the woods, as many scouts do, it's best to be prepared. 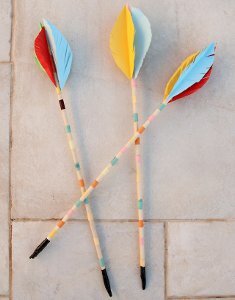 Ok, so you may not actually use these DIY arrows, but they're a great lesson when learning about American Indians. Add this to your scout crafts! God's Eye- Boy and girl scout activities often teach the basics. Learn a simple pattern by creating one of these classic scout designs. Model Human Lung- Healthy living is fundamental in the scouts. 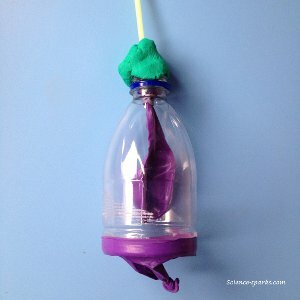 Learn the science behind your body by crafting this educational lung model. Bring this idea to a group so you can learn about healthy living together. American Indian Medicine Bag- Scout crafts should teach the history of the USA. Find out about the roots of America by making this American Indian Medicine Bag. Classic Friendship Bracelets- What would girl scout crafts be without friendship bracelets? These DIY bracelets are easy to make and are a great group activity. Boy scout activities can include these knotted bracelets too; use them as bracelets or cool key chains. 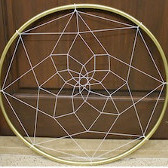 Dreamy Dreamcatcher- Get a history lesson and make an amazing dream catcher all at once. Don't let those nightmares haunt you anymore! Protect your sleepy head with this DIY dream catcher. 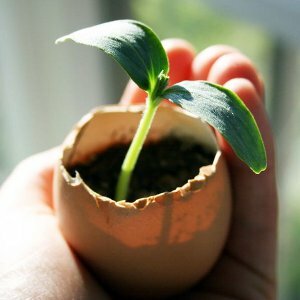 Eggshell Seedling Planters- Scout crafts like this one require very careful attention. Try not to break the egg shells as you transform them into tiny planters. See whose plant blooms first! 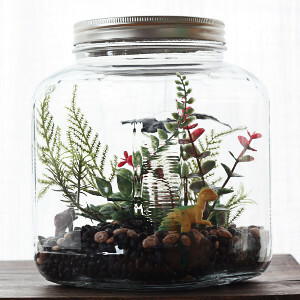 Soda Bottle Terranium- This terrarium is amazing because it teaches you about recycled crafts. You'll love collecting old soda bottles and creating your own space for crazy plants. Windowsill Garden- If you want to learn how to make a garden, this craft is for you. Gardening makes for great girl and boy scout activities because it teaches you the science behind plant life. Bring the flowers or herbs you grow to a hospital or nursery to pass on the joy. Glow in the Dark Terrarium Craft- The only thing cooler than the DIY terrarium listed above is this glow in the dark terrarium. Crafts for boy scouts and girl scouts have never been cooler! 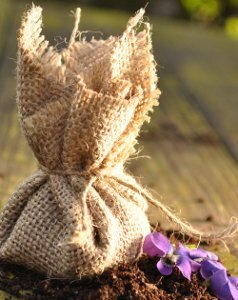 Flower Seed Pockets- By making these burlap pouches, you can witness a tremendous growing phenomenon. Learn the science behind plants as you watch these seed pockets at work.